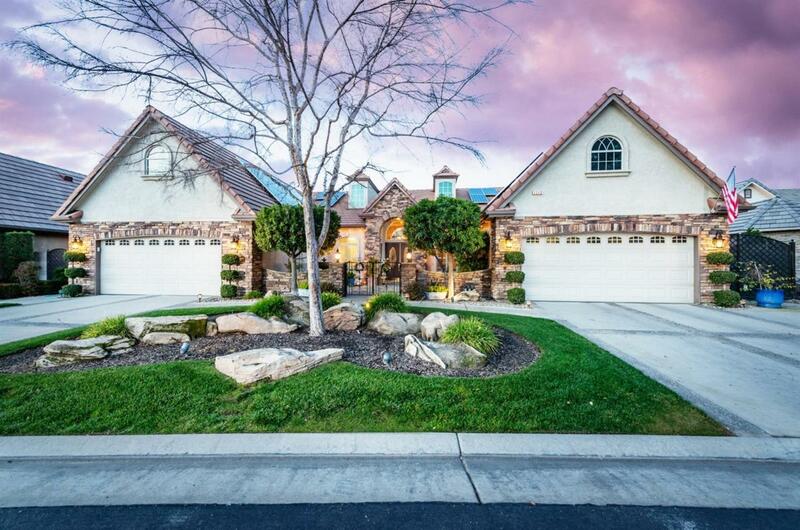 Stunning Home located at Country Club at the Fort, a prestigious gated community. This home features 3,257 square feet of living space, 4 bedrooms, 3 baths, 4 car garage, a large entertainment room and much more.The oversized kitchen has a center island, breakfast bar, granite countertops, stainless steel appliances, a walk-in pantry and it opens up to the living area. The large master suite has direct access to the backyard which includes a gorgeous pool and Jacuzzi. The master bath boasts a dual vanity, jetted tub, and large walk in shower. The newly installed solar panels will be payed off the close of escrow. The beautiful backyard has a green area, pool with waterfall, Jacuzzi, built in BBQ, and lots of room to entertain! Less than 5 min drive to copper River country club and walking distance to Fort Washington country club. This House is in a Cul De Sac located across from the Fugman elementary school and is in the prestigious Clovis North District. This home is a MUST SEE! Listing provided courtesy of Joyson Therampilly John of Aspire Realty Solutions.